yes the wedding and the reception will be right here in the fourms, We want all furs to attend, cat or dog! Jingle Bells --- just for your information: Dogsters cannot attend your wedding here in the Catster forums. If you do want dogs to attend the wedding, you need to create a Group that will be opened to both cats and dogs. (comes in and checks everything out to be sure all is in place for the wedding reception) (re-folds a napkin and re-arranges a few of the flower arrangements on the table) We want efurrything to be PURRfect for JB & Harley!! 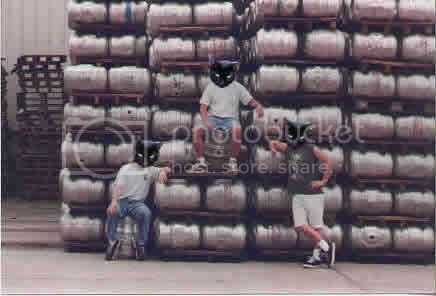 (shows the Burley Cats where to put the Kegs of Mouse Brew). Chai wanted to be sure we have purrlenty and don't run out of Mouse Brew!! moms putting On our Chotlinmg ..
Oh I hope JB likes the way we have the tables set up for the Reception. They look great Sisfur. Is there anything else I can do? The special Commemorative Catpagne was just delivered and the Commemorative Mouse Brew too. Can you think of anything? Oh Sugar, can you find the toasting flutes? im here... need any help? :-h Hi all!!!! I'm here too!!! Must run out to "powder my little nose" but I'll be back in just a sec!!!!! (comes in with a box) Here they are Bit!! Where do you want them? Hi Angel! Oh thank my Catness! Chai would be so upset if we forgot these! She ordered them special over the internet. (takes the toasting flutes out and sets them next to the table for the cake) Hi Angel. Gee I'm not sure - I think we are purrty well set. I was just looking efurrything over to be sure it's PURRfect!! ok...im waiting for Riley!! And my brofur Spot is an usher! I'm just popping my nose in to see how evefurry thing is coming along. Ladies it looks beautiful! Hi EveryFur!! Oh Bit and Sugar, this looks wonderpurr. I'm sure JB will be thrilled!! Speaking of which, is our Blushing Bride here yet? MEZA BEED HEREZA & CHECKIN TO SEED IF HARLEY KNEADIN ANY THIN???????? Hello efurryone%:D% Harry the Preacher Cat here. I guess we are waiting on the ladies to get here?